Ex-international cricket umpire Darrell Hair has been sentenced to an 18-month good behaviour bond over stealing money from his employer. Hair, who made headlines for calling a number of no-balls on Sri Lanka’s Muttiah Muralitharan during the 1995 Boxing Day Test, pleaded guilty to a single charge of embezzlement and one charge of stealing in Orange Local Court yesterday. The 65-year-old was working at D’Aquino’s Liquor in Orange and stole over $9,000 between February and April this year to fund a spiralling gambling addiction. He was given the sack shortly after when his bosses found CCTV footage of him taking money from the cash register and putting it in his pocket. When Hair’s employers confronted the former official about the missing money, he responded simply, yep you got me”. He admitted guilt when interviewed by police. A fact sheet presented to court stated Hair would either make unauthorised refunds and keep the money or pocket cash directly from customers. “[Hair] stated that he had no excuse for his dishonesty and he had let his gambling get too far out of control during the early months of 2017 and failed to react to the signs that it was out of control,” the document said. The former match official’s solicitor Andrew Rolfe, said his client was ashamed to be fronting court over the allegations after a successful career as an international cricket umpire. “My client has been in the public eye for many years and this is a bit of a fall for him, to find himself before the court in these circumstances”. Magistrate Michael Allen made it clear that Hair’s actions were a breach of trust, but also highlighted how Hair had repaid the stolen money, written letters of apology, and was in counselling for depression and addiction. In sentencing Hair, Magistrate Allen did not record a conviction and also underlined how gambling ads were everywhere, and gambling addiction was “no less real than an addiction to drugs … or alcohol”. Hair was embroiled in controversy when he called Muralitharan for 7 no-balls during the MCG Boxing Day Test between Australian and Sri Lanka over 20 years ago. 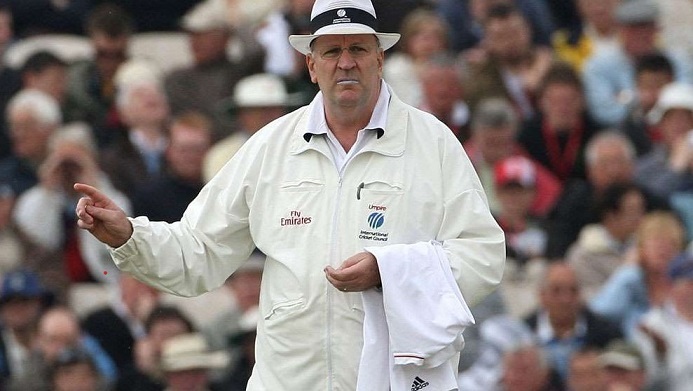 He was also one of the umpires who decided to reprimand Pakistan for suspected ball tampering in the fourth Test against England in 2006.